Popovic, C., and Green D.A. (2012). Understanding Undergraduates: Challenging our Preconceptions of Student Success. Routledge Publishing. Understanding Undergraduates adds to the literature on “millennial” students by examining assumptions: assumptions that university teachers make about successful students and that students make about themselves. Popovic and Green survey thirty-eight university professors in four universities – two in the US and two in the UK--, and they survey 1241 students in first-year classes. They compare those assumptions with the findings of appropriate research, determining which are upheld by the research and which aren’t. The most useful thing about the book is the practical suggestions they offer for dealing with those assumptions, either correct or not. They find that both UK and US professors, for example, believe that successful students expect to develop new study skills, are punctual for lectures, keep up with assigned reading, and prefer to sit at the front of class (50) – and the research supports those assumptions. They also, however, assume that successful students perform volunteer work, belong to a particular gender or ethnic group, talk to their teachers and ask questions, and form their own study groups, assumptions that the research suggests are false. 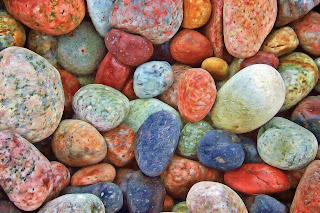 Some assumptions are particular to the US context – the unsupported beliefs that good students use writing centres or are unmarried, for example – and some to the UK context – that successful students attend full time or feel they belong at university. As I read, I found myself less surprised by the results of the research and more by the sometimes shocking assumptions that professors admitted to having. 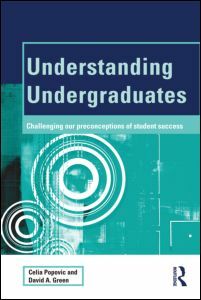 Also surprising is the general conclusion that Popovic and Green come to about student assumptions; in their surveys, students suggested that they already have a pretty sound idea of what behaviours and attitudes make for a truly successful undergraduate experience, but there is a disconnect between understanding what works and altering behaviour to meet that understanding. For professors, then, the book insists that we first acknowledge our assumptions and then test them against the evidence before we bring them into the classroom. When helping our students become more successful, we need to spend less time on telling them what makes a successful student – they already know – and more on helping them alter habits to make use of that knowledge. The intended audience for Understanding Undergraduates is explicitly university teachers, though there are some suggestion near the end for what one can do to curb stereotyping at various levels in the university. Moreover, Popovic and Green are careful to locate their study in two specific contexts, the US and the UK, and even in those two, there are differences. A Canadian audience, then, may find the specific findings less applicable than the general and surely sensible general conclusion: that trying to understand undergraduates based on hasty generalizations and anecdotal evidence is more likely to do harm than good.